Welcome back for day 3 of our May 2018 release! 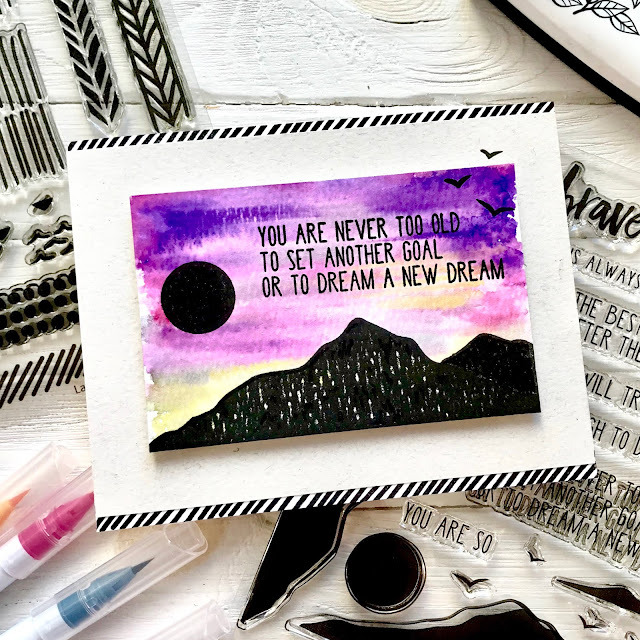 This month we have some amazing products for you - sequins, stamps, and dies! All new products will be available on Friday, May 11th at 8am EST. Be sure to stop by here everyday this week for lots of fun, inspiration, and giveaways! Today we have a stunning new set designed by Miriam Prantner. 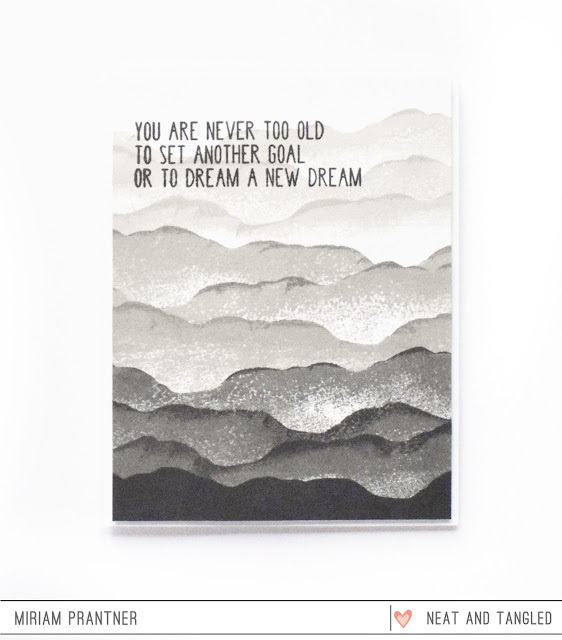 Layered Landscape is a 6x8 set that is elegant and artistic. Create stunning scenes with a variety of stamps, landscapes or seascapes, whatever you can imagine! 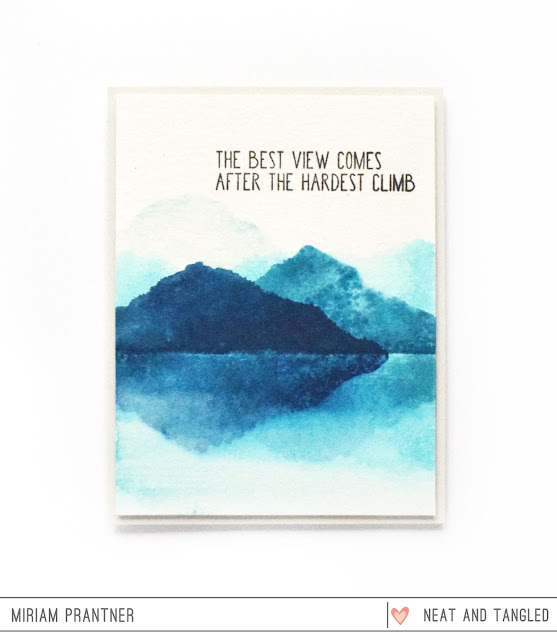 Pair your scenes with any of the encouraging and inspiring sentiments in the set! Wow I love these mountain scenes... very cool ... I love that these would be perfect for Father's Day. 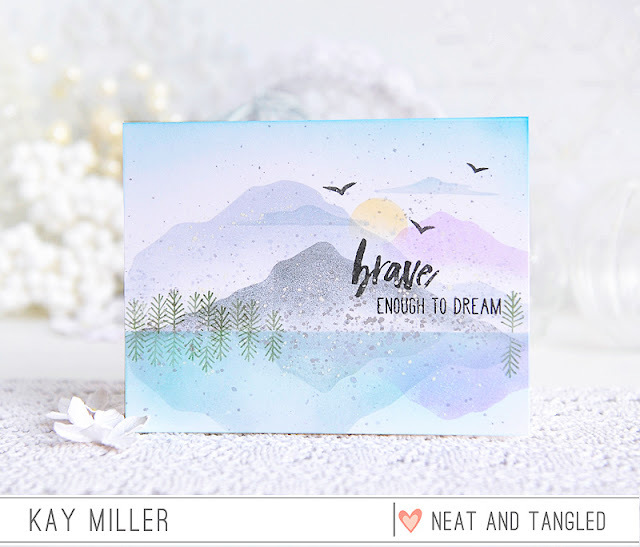 I follow your blog and think this Layered Landscape stamp set is wonderful! Just started following on Bloglovin and I am LOVING this set! Wow, it's a beauty!!! What great cards from the design team! What gorgeous samples with this beautiful set! So many possibilities! This looks like a fun set to play with with colors. Very cool. LOVE this set! 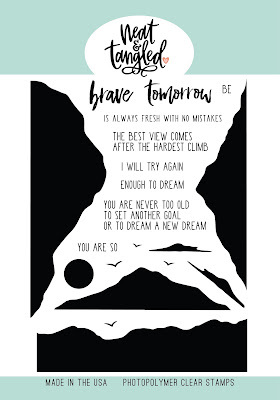 Elena's card is my favorite as it combines the beautiful mountains with a beloved quote from "Anne of Green Gables" about tomorrow having no mistakes in it!!! the area you are trying to portray. Love this set and all of the beautiful cards! Cool stamp set, so many creative possibilities. Amazing design team inspiration. This is a beautiful stamp set! Love all the different mountain heights and the sentiments are very encouraging. The designers really did a great job showcasing the stamps! Thank you for the chance to win!! I follow on FB and posted about the release. This is a unique and beautiful set that I would use often. I love the many ways these elements can be combined, and the sentiments are so inspiring. shared about day 3 on my instagram account - Mindy Eggen Design! Oh WOW! I love this stamp set!!! And the sample cards by the DT are absolutely fantastic! I follow Neat & Tangled on Facebook. I follow Neat & Tangled on Instagram. The sentiments in this set are so poignant! Love this and love the designers' inspiration! Wow!!! This set is Fabulous!!! I love the water color look!!! What a fab stamp set to add to my crafty stash and I love the different ways the design team used the images! These are just wonderful!!! Love them! And the cards! This stamp set is just fabulous! I love all of the ideas that were shared... what fantastic cards! What a brilliant design. Bravo. What a fantastic new set! Love the creations ♥ and the encouraging sentiments!! This is a beautiful release! Beautiful cards and release. I am a follower. What a great set! I follow this blog. Love the scenes that can be created with this set. Such a cool stamp set with great sentiments. What a fabulous set! The DT did an awesome job with it; the options seem to be boundless! Im a follower, I love the release from today, is so beautiful!!! I follow you on Facebook and share about release with my friends! I follow Neat and Tangled on Instagram and repost about your release! Love all the variations the DT came up with to show this beautiful stamp set off! This is one of the best stamps that I saw. Love the ideas and the sentiments they are pretty and encouraging. You did a great job in design this stamp. I wish to have it soon. #1. What a lovely unique stampset and fabulous inspirations everywhere! Thank you team :) It was great hopping along and left some love on all the participating blogs :) Already a follower! 1. Beautiful set! Love all these cards!!! Already a follower. This stamp set is amazing and has SO many possibilities. I absolutely love it and today's inspiration. Oh wow !! What a fantastic stamp set!! So creative and versatile !! 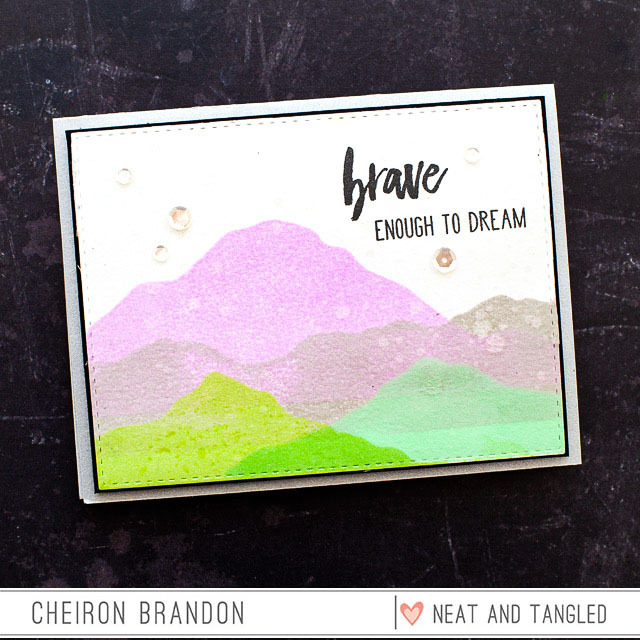 WOW... that is AMAZING Layered Landscape stamp set!!! LOVE all the inspiration projects. Amazing stamp set. 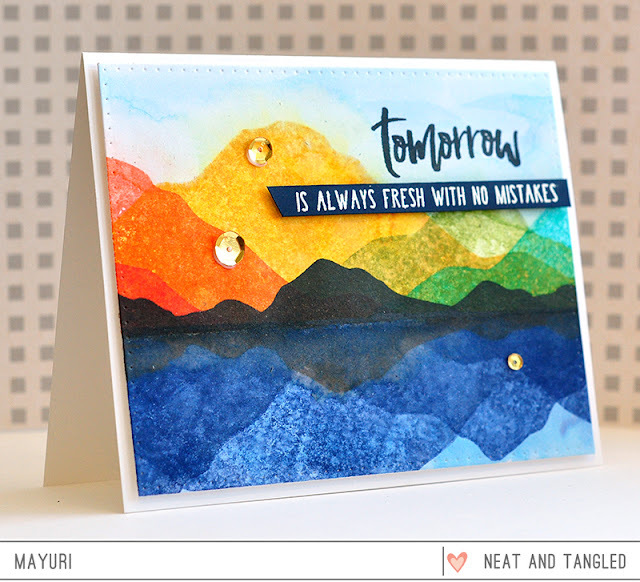 I love that it looks simple an easy to make a watercolored card without the stress of using those paints. Love this stamp set! The mountains and sentiments are so beautiful! This is quite different from anything I own. These landscapes are amazing! love the different looks. I follow you alread on FB and shared.